as it does not clog. Large size of particles can be captured but it cause filter clogging. Small size of particles can not be captured and pass through. Collect smallest 0.3μm size of particulate by charging electricity. 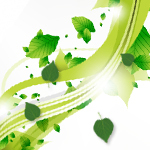 Dust particles are electrically charged(+) in the ionizer section. Charged plate(+) repel charged dust particles(+) to the opposite plate(-). The attracting force is called Coulombic force. The dust particles are retained on the plate by Van der Waals force (Dust will not be free even without power supply to the EAC). 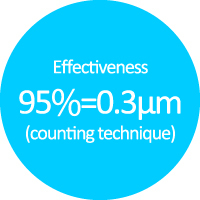 Collect even 0.1μm（1/10,000mm) size of small particulates. 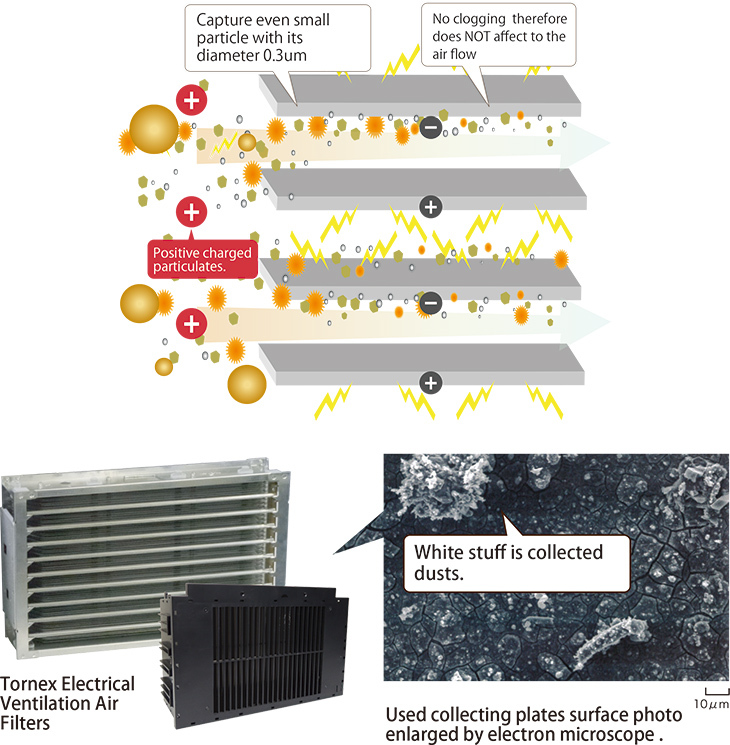 Tornex ESP can collect from large size of particulates such as pollen to smaller size such as Yellow sand, PM2.5 . Conventional mechanical filter can collect larger particulate such as 10μm size but smaller size like 1～10μm are with only 50% efficiency. Smaller than 1μm are difficult to catch, it may pass through the opening area. No influence to the fan sucking power even after the filter get dirty. 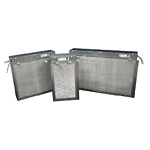 Conventional mechanical filter are easy to get clogged after use for a while and it affects to sucking power. 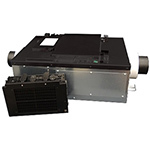 However, Tornex electronic air cleaner are electrically charged and collect dirt, therefore it does NOTclog either affect to the sucking power which can keep sustainable air exchange system. 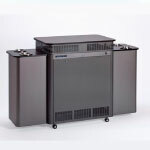 With higher efficiency of mechanical filter and/or HEPA filter, their initial pressure loss is high at 50～100Pa. 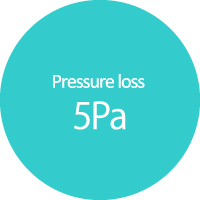 Moreover, after it gets dirty, pressure drop will be double or triple and block the air blowing.